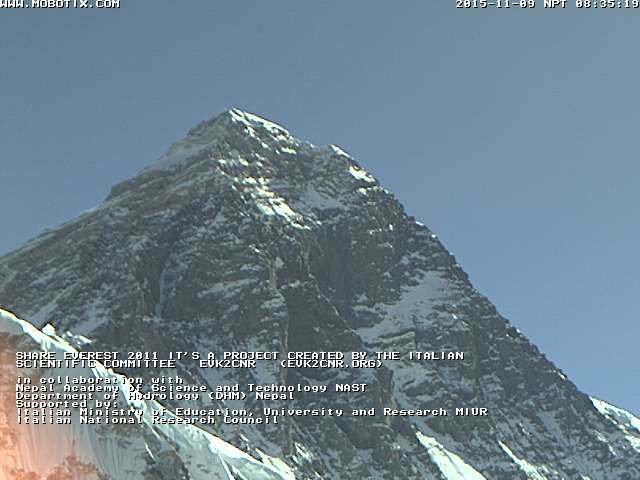 Everest from Web cam at 5,600 meters (asl). The live web cam shots of Mt. Everest shall resume once the Everest Share Web cam is back on. This page self refreshes in approx every 10 mins. Note: Webcam operates only during daylight time in Nepal. Enjoy one day of the Everest in 1 min.